IMAGINE GETTING A bee sting; then imagine getting six more. You are now in a position to think about what it means to be poor, according to Charles Karelis, a philosopher and former president of Colgate University. In the community of people dedicated to analyzing poverty, one of the sharpest debates is over why some poor people act in ways that ensure their continued indigence. Compared with the middle class or the wealthy, the poor are disproportionately likely to drop out of school, to have children while in their teens, to abuse drugs, to commit crimes, to not save when extra money comes their way, to not work. To an economist, this is irrational behavior. It might make sense for a wealthy person to quit his job, or to eschew education or develop a costly drug habit. But a poor person, having little money, would seem to have the strongest incentive to subscribe to the Puritan work ethic, since each dollar earned would be worth more to him than to someone higher on the income scale. Social conservatives have tended to argue that poor people lack the smarts or willpower to make the right choices. Social liberals have countered by blaming racial prejudice and the crippling conditions of the ghetto for denying the poor any choice in their fate. Neoconservatives have argued that antipoverty programs themselves are to blame for essentially bribing people to stay poor. Karelis, a professor at George Washington University, has a simpler but far more radical argument to make: traditional economics just doesn't apply to the poor. When we're poor, Karelis argues, our economic worldview is shaped by deprivation, and we see the world around us not in terms of goods to be consumed but as problems to be alleviated. 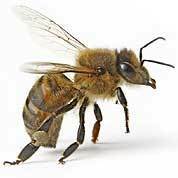 This is where the bee stings come in: A person with one bee sting is highly motivated to get it treated. But a person with multiple bee stings does not have much incentive to get one sting treated, because the others will still throb. The more of a painful or undesirable thing one has (i.e. the poorer one is) the less likely one is to do anything about any one problem. Poverty is less a matter of having few goods than having lots of problems. "It's Econ 101 that's to blame," Karelis says. "It's created this tired, phony debate about what causes poverty." In challenging decades of poverty research, Karelis draws on some economic data and some sociological research. But, more than that, he makes his case as a philosopher, arguing by analogy and induction. This approach means that he remains relatively unknown, even among poverty researchers. The book in which he laid out his argument, "The Persistence of Poverty: Why the Economics of the Well-Off Can't Help the Poor," wasn't widely read when it was published last year. A few, though, have taken notice, and are arguing that Karelis does have something important to say. "There's not much evidence in the book, and there are a lot of bold claims, but it's great that he's making them," says Tyler Cowen, an economics professor at George Mason University. It "was a really great book, and it was totally neglected." The economist's term for the idea Karelis takes issue with is the law of diminishing marginal utility. In brief, it means the more we have of something, the less any additional unit of that thing means to us. It undergirds, among other things, how the US government taxes people. We assume that taking $40,000 in taxes from Warren Buffett will be a lot less onerous to him than to an elementary school teacher, because he has so much more to begin with. In many cases, Karelis says, diminishing marginal utility certainly does apply: Our seventh ice cream cone will no doubt be less pleasurable than our first. But the logic flips when we are dealing with privation rather than plenty. To understand why, he argues, we need only think about how we all deal with certain familiar situations. "The core of the problem has not been self-discipline or a lack of opportunity," Karelis says. "My argument is that the cause of poverty has been poverty." The upshot of this for policy makers, Karelis believes, is that they don't need to fret so much about the fragility of the work ethic among the poor. In recent decades, experts and policy makers all along the ideological spectrum have worried that the more aid the government gives the poor, the less likely they are to work to provide for themselves. David Ellwood, an economist and the dean of Harvard's John F. Kennedy School of Government, has called this "the helping conundrum." It was this concern that drove the Clinton administration's welfare reform efforts. Few economists are familiar with Karelis's work, and when it's presented to them, they tend to be skeptical of its explanatory power. If Karelis is right, we should see even more defeatist behavior than we do from the poor, says Kevin Lang, chairman of the Boston University economics department and author of "Poverty and Discrimination." Plus, he argues, there's little evidence that simply making poor people less poor increases their work ethic - and some evidence that it does the opposite. In the early 1970s, a large-scale study gave poor people in four cities a so-called "negative income tax," a no-strings-attached payment based on how little money they made. The conclusion: the aid tended to discourage work. Karelis responds that the data from that experiment is in fact quite ambiguous, and there has been debate among economists over how to interpret the results. But ultimately, he believes, the strength of his arguments is less in how they fit with the economic work that's been done to date on poverty - much of which he is suspicious of anyway - but in how familiar they feel to all of us, rich or poor. "The bee sting argument, or the car dent one," he says, "I've never had anybody say that that isn't true."